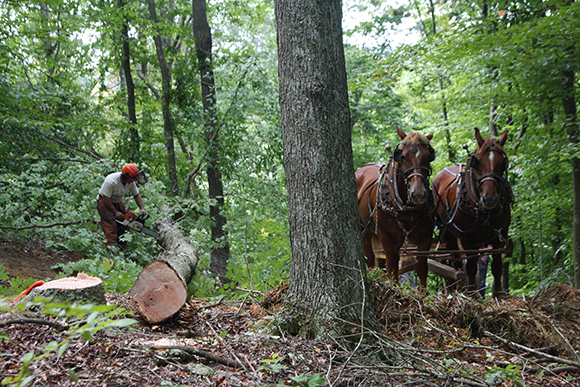 Above: Jagger Rutledge cuts lengths of a felled tree prior to being skidded to a portable sawmill. Joe Mischka photo. 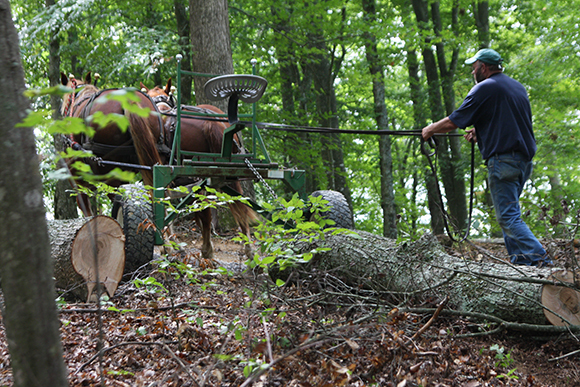 Visit our Bookstore for the most extensive collection of draft horse logging resources. 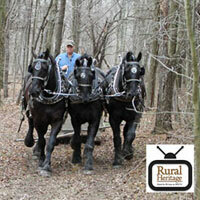 Find or List your Horse, Oxen, Mule or Donkey Team for Sale. Learn more about different harnesses, hitches, materials, care. 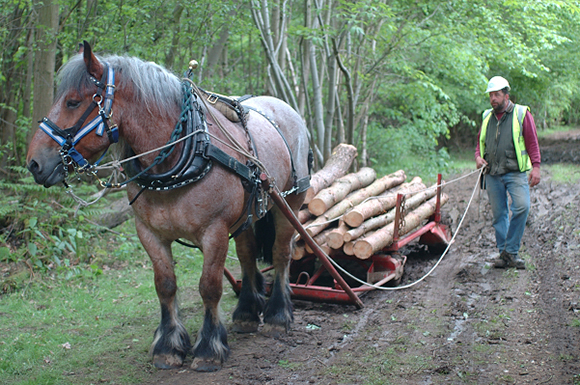 Above: A Norwegian Bergans sled and back wagon on wheels, pulled by an Ardenne gelding.